How to Check If an iPhone Has Been Jailbroken? With all the limitations and restrictions in place from Apple when it comes to system modifications and app availability, there have been different workarounds found by developers to ditch all those restrictions. Though there are different options available but the process of lifting those restrictions remains the same and is known as jailbreaking. After jailbreaking your iPhone, you can be able to install any third-party apps as you may like from different repositories available for them. This will help you to modify even the core functions of your iPhone. Let’s look into how it is done and how it helps you. Jailbreaks, essentially, allow iOS users to lift the restrictions Apple has placed on them. If you are not using a jailbroken iOS device, then you will only be able to download and install specific apps on your device. These apps are available on App Store and are approved by Apple for safe use. However, despite the fact that it’s the safest option available, there are plenty of useful apps and tweaks that you would never want to miss out on. You can find an iOS 9.2.1 jailbreak, for instance, and use it to install an all-new full-featured App Store on your iOS device with the name Cydia. 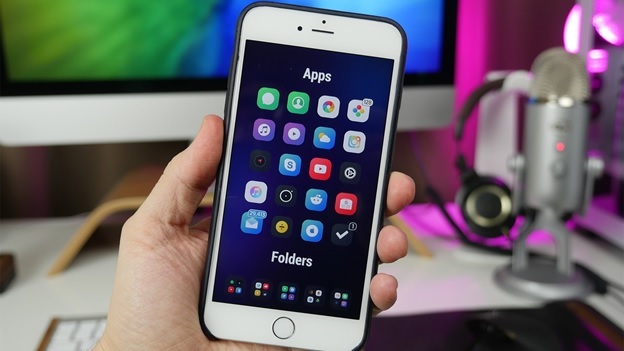 The installation of Cydia with the help of a working jailbreak allows you to ditch App Store and all the restrictions in place and you can be able to download those most useful tweaks and apps that you didn’t have access to so far. These tweaks will not just allow you to enjoy some new added functionality but can also be useful with customizing the looks of your iOS interface. So, all in all, jailbreaking an iOS device is really beneficial and comes with its own unique benefits. How To Check If An iPhone Is Already Jailbroken Or Not? Despite all its benefits, jailbreaking has some risks associated with it. Apple has the right to void warranty of your iPhone or deny rendering its services if the iPhone is found to be jailbroken. So, you really have to be cautious and only jailbreak your device after properly thinking about it from all the aspects. If you’re buying used iPhone then the case can be different, however. 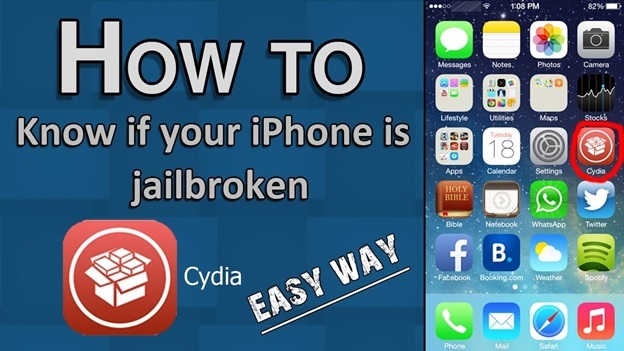 It is advised that you buy non-jailbroken iPhones and only jailbreak at your will if you need to later on. When buying used iPhone, it is possible to determine if it is already jailbroken or not. Here is how you can check that. First of all, you should check for all the common apps which an average iPhone user would install on a jailbroken device. Particularly look for ‘Installer’, ‘Icy’ and ‘Cydia’ as they are automatically installed when you jailbreak your iPhone through some of the popular jailbreak methods. So, presence of these apps would mean that you’re holding a jailbroken device. Secondly, you can look for default apps that come as part of the iOS. Usually, these apps are uninstalled from jailbroken iPhones and any iPhone missing these apps would be jailbroken. Some of the default apps to look for include Calculator, App Store, Clock, Calendar, Camera, iPod, Contacts, iTunes, Messages, Maps, Mail, Notes, Phone, Settings, Safari, Photos, Voice Memos, Stocks, YouTube and Weather. iPhones with iOS 4 installed on them, or any later version, also have AirPlay, Nike + iPod, Game Center and the Print Center apps. Another way to check whether an iPhone is jailbroken or not is to find out if you’re connected to AT&T 3G Network or not. iPhones are usually jailbroken to make use of other mobile carriers and if your iPhone is not connected to its original network then it means it’s jailbroken. Finally, you can connect the iPhone to PC or Mac and use iTunes ‘Restore’ feature. As soon as this restore gets completed, you can rest assured that your iPhone isn’t jailbroken. So, despite all the benefits of jailbreaking, if buying a non-jailbroken iPhone is inevitable then you must check out for all these indicators and ensure that you’re buying a device in its original form. Nevertheless, if security or any other such thing is not a major concern then you can even go for a jailbroken device as well. The decision is all yours.